Dear Aadeez, U guys have always been a part of my family and have stood by me through my incredible highs and not so incredible lows. I am delighted to let all of you know thatâ€¦â€¦ Her insan ka zindagi main aik na aik din WIYAAAH hona hota hayyy ,,, and my Big day has finally arrived with your prayers. ALLAH has endowed me with a wonderful life partner. I would request all of you to continue praying for us as you have always being doing in the past for me. Mehndi , barat n walima pictures are on their way. aur jis jis ki shadi ne hui abhi tak ,,,,,, KUJ SHARAM KERO TAY WIYAAH KER LO hun lol. May you both have a great life ahead. God Bless You ! They plot and plan, and Allah too plans; but the best of planners is Allah.
" Masjid Dhaa de... Mandir Dhaa de..dhaa de jo kuch dheinda...par kisi ka Dil na dhavien....Rab dila vich rehenda.....!! Tere Ishq nachaya kar thaiya thaiya..."
Omgggg,,, that's soooo sweeet !!! Omg SHAADI MUBARAK ho aadee,,, Very happy for you !!! May GOD jii bless you both !!!! March is suchhh a beautiful month and am sooo happy that's I have my birthday, Atif's birthday and now Atif's wedding in this month ! To the world, you may be another Celebrity, But to Aadeez, you are the world. in RastOun pey AanAy wAlAy sAb kArty hAin kyUn KINNARA ?? Congtraxxx Aadee :) happy for u but Bhabhi ka nam kya hai ????????????????? n who is the luckiest girl in this world?????? "Atif you raise us up, to much more than we can be .. HAPPY MARRIED LIFE AADEE !! <3"
OOOOOOW :O ! 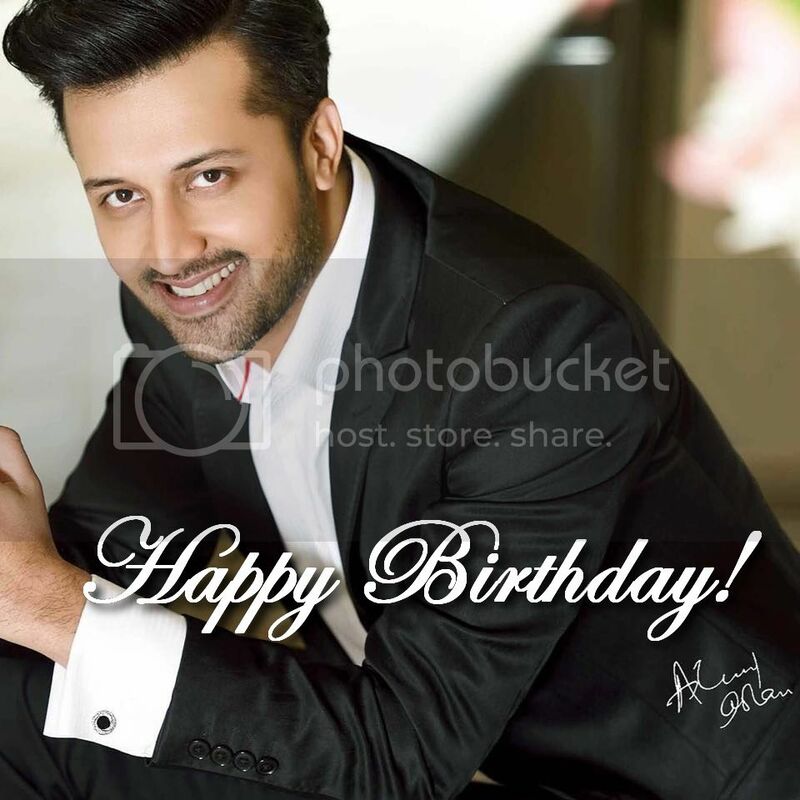 Many many Congratulaations to you Atif & to your life partner ! May Allah ta'ala fill your life with everlasting happiness Insha'Allah & bless your couple , Ameen ! We are all proud to welcome your bride in our AADEEZ family , and we promise that we'll give her respect & love ! Wee love yoou Aadee ! Dil me sabar ho jaise..
haayee rabba koi toh btaao... kon hai woh khushnaseeb? Server response time is 0.203 seconds.